Los Angeles, August 2, 2016: On September 23, 2016, GRAMMY-nominated blues-rock guitarist Joe Bonamassa will deliver Live at the Greek Theatre, a 22-track Double CD, Double DVD, Blu-ray, and 4-LP Deluxe Edition tribute to three of the greatest bluesmen to ever live - Albert King, B.B. King, and Freddie King. 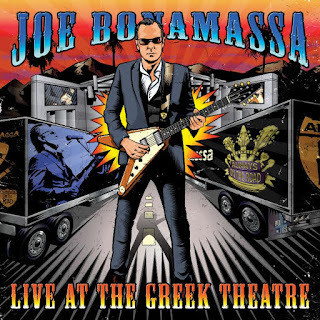 Live at the Greek Theatre showcases "The Three Kings" tour of 2015; a 14-date US amphitheater tour that culminated at famed Los Angeles venue The Greek. Bonamassa celebrates the trio of blues icons with over two hours of some the greatest blues songs ever written. The release includes a collector's edition booklet, and several bonus features containing behind-the-scenes footage and more. Public TV and MTV Live, formerly Palladia, will broadcast the epic Blues tribute performances during their August and September schedules. Fans will instantly receive a free download of the track "Let the Good Times Roll," as a thank you for pre-ordering the new Album. Live at the Greek Theatre can be pre-ordered here. Watch "Let The Good Times Roll" here. Playing on a warm summer night to a nearly sold-out crowd, Bonamassa's handpicked set list of songs was called "spectacular" by Premier Guitar; Los Angeles Times said the show "had swing and polish" and that "Bonamassa evoked the signature licks of all three icons while managing to put his own stamp on things." Songs ranged from blues standards to deep cuts, including "Born Under A Bad Sign," "Lonesome Whistle Blues," "Hummingbird," "Let The Good Times Roll," and, of course, B.B. King's famed "The Thrill Is Gone" as the evening closer. For Bonamassa, the tour's importance deepened significantly when B.B., his friend and mentor, passed away two months before it began. "My only regret is that B.B. was not alive to see it," said Bonamassa. Showcasing "magnificent guitar playing" (The Morning Call), Bonamassa introduced a steady rotation of vintage guitars, including four Gibson ES models, a Gibson Les Paul, a Gibson Flying V, two new Gibson Custom Shop models, two Fender Strats, and a 1972 Dan Erlewine custom Flying V named "Lucy," originally owned and played by Freddie King and currently in the collection of actor Steven Seagal. 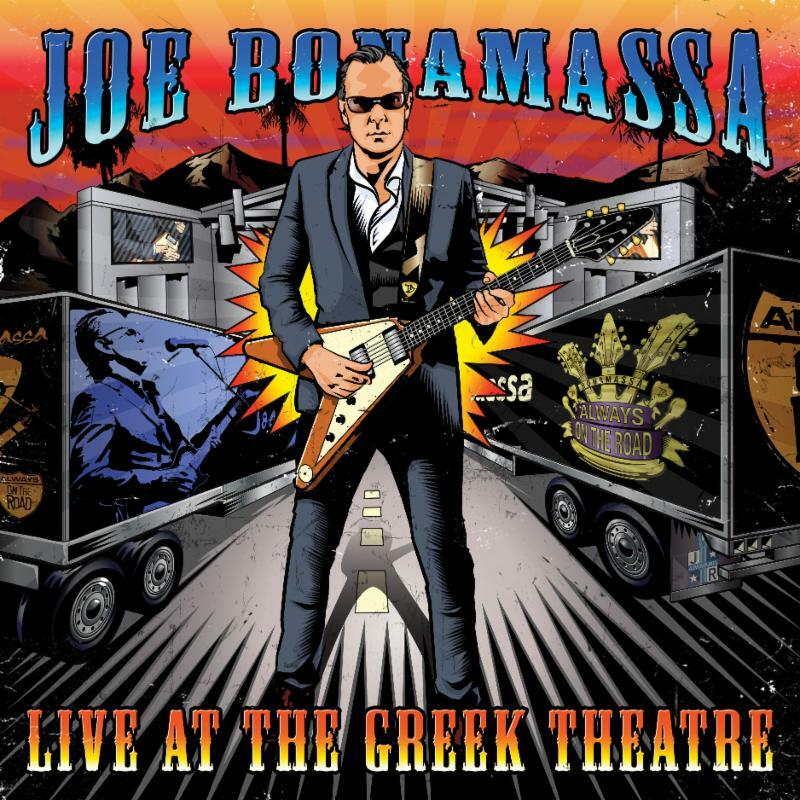 Live at the Greek Theatre continues Bonamassa's tradition of honoring incredible concert venues like the Royal Albert Hall, the Vienna Opera House, Radio City Music Hall, Red Rocks Amphitheatre, and the Beacon Theater. As with all Bonamassa DVD shoots, the performance at the Greek offered a unique presentation of this historical music. This tour was a continuation of the celebration of our blues heritage, which began with the 2014 production of Joe Bonamassa - Muddy Wolf at Red Rocks, a tribute to the music of Muddy Waters and Howlin' Wolf. Both tours gave a portion of proceeds to presenting partner Keeping the Blues Alive Foundation, a non-profit Bonamassa founded in 2011 that promotes the heritage of the blues to the next generation, funds music scholarships, and supplements the loss of music education in public schools. Bonamassa's most recent studio album, Blues of Desperation, released March 25, marks his 16th #1 Blues album on the Billboard charts, more than any other artist, and landed at #5 on the Billboard Top Album Sales, his highest charting yet. 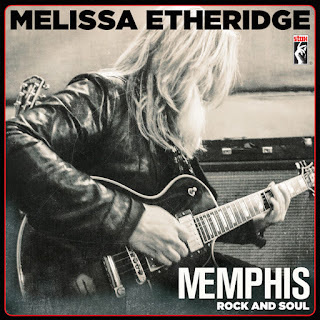 Melissa Etheridge has announced the release of her new album MEmphis Rock and Soul, a tribute to Stax Records and the rich history of classic southern soul, out October 7 via Stax/Concord. The album is a collection of deep soul covers associated with the original Stax label, including songs recorded by Otis Redding, Rufus Thomas, The Staple Singers, William Bell and more. The album also features new, original verses written by Melissa on two of the tracks. While the original Stax studio is long gone, Etheridge took to another hallowed local spot, Willie Mitchell's Royal Studios (home to Al Green, Ann Peebles and others), to channel the classic Memphis sounds found on these soulful standards. 'MEmphis Rock and Soul' was produced by Willie's son Boo Mitchell, and features a backing band comprised of Hodges Brothers and other top Memphis musicians who are legends in their own right. Etheridge even recorded with Al Green's famed RCA 77DX ribbon microphone ("No. 9"). 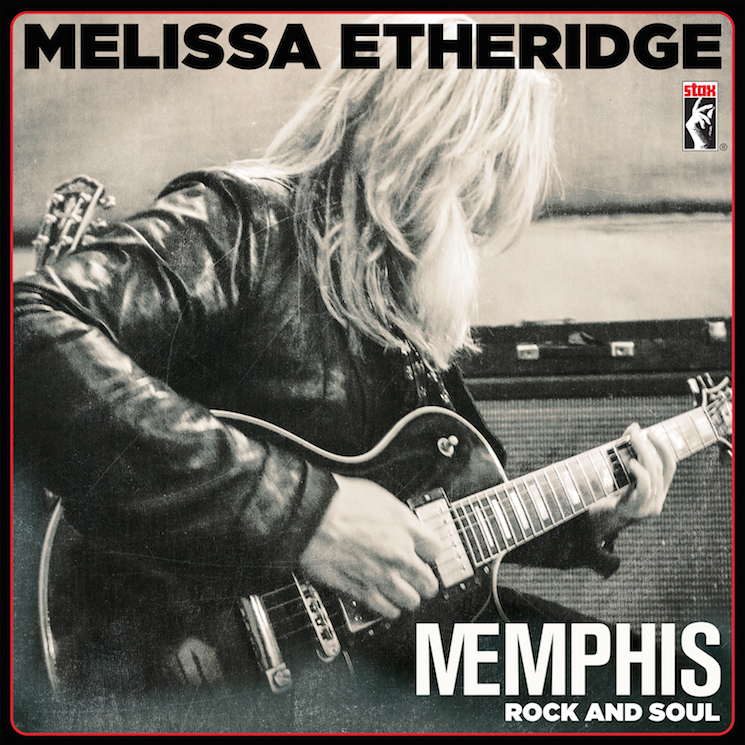 'MEmphis Rock and Soul' also spotlights the empowering role Stax played in the Civil Rights Movement, a fitting theme for Melissa, who has become a pivotal voice of the modern LGBT rights movement. Over the course of her 20+ year career, Melissa has won an Oscar and multiple Grammy awards, survived breast cancer, and has become a powerful voice for the LGBT movement. Most recently, she penned the song "Pulse" paying tribute to those lost in the June 12th Orlando shootings, and all proceeds for the song will benefit Equality Florida. Melissa Etheridge is in the midst of an extensive US tour with Pat Benatar and Neil Giraldo. Full list of dates below. (New York, NY) Rolling Stone today premiered the powerful and poignant track "What It Means" from Drive-By Truckers' much-anticipated new album, AMERICAN BAND, due out on ATO Records September 30. Watch a clip of the band performing the song live in Athens, GA.
About the new track, Patterson Hood told Rolling Stone it's "a song I wrote a couple of years ago protesting the Ferguson decision and the Trayvon Martin killing. Unfortunately, the song is still timely today. I hope and pray that one day it won't be." The first track from AMERICAN BAND, "Surrender Under Protest," premiered at NPR Music in late June.AMERICAN BAND is available for pre-order now, arriving in stores and online retailers everywhere on September 30. Hailed by Stereogum as "perhaps the greatest extant American rock and roll band," Drive-By Truckers will celebrate AMERICAN BAND with an epic fall headline tour, beginning August 20 in Morrison, CO, at Red Rocks, and continuing into middle November (see itinerary below with the newly confirmed November dates). Support on the dates will come from Lydia Loveless, Son Volt and Kyle Craft. Tour highlights include two-night-stands at Portland, OR's Wonder Ballroom (September 30th and October 1st), San Francisco, CA's The Fillmore (October 6th and 7th), Los Angeles, CA's Teragram Ballroom (October 11th and 12th), Asheville, NC's The Orange Peel (November 4th and 5th) and Richmond, VA's The National (November 10th and 11th). The band will also perform at such festivals as Lexington, KY's Moontower Music Festival (August 27th), Toronto's Toronto Urban Roots Fest (September 16th) and Fredericton, NB's Harvest Jazz and Blues Festival (September 17th). Additional dates will be announced soon - for updates, please visit the official Drive-By Truckers tour page. Founded in 1996 by singer/songwriter/guitarists Mike Cooley and Patterson Hood, the band have long held a progressive fire in their belly but with AMERICAN BAND, they have made the most explicitly political album in their extraordinary canon. A powerful and legitimately provocative work, hard edged and finely honed, the album is the sound of a truly American Band - a Southern American band - speaking on matters that matter. Master songwriters both, Hood and Cooley wisely avoid overt polemics to explore such pressing issues as race, income inequality, the NRA, deregulation, police brutality, Islamophobia, and the plague of suicides and opioid abuse. As a result, songs like "What It Means" and the tub-thumping "Surrender Under Protest" are intensely human music from a rock 'n' roll band yearning for community and collective action. Fueled by a just spirit of moral indignation and righteous rage, AMERICAN BAND is protest music fit for the stadiums, designed to raise issues and ire as the nation careens towards its most momentous election in a generation. Recorded late last year at Nashville's historic Sound Emporium with longtime producer/engineer David Barbe behind the board, AMERICAN BAND's considerable force can in part be credited to the sheer musical strength of the current Drive-By Truckers line-up, with Hood and Cooley joined by bassist Matt Patton, keyboardist/multi-instrumentalist Jay Gonzalez, and drummer Brad Morgan - together, the longest-lasting iteration in the band's two-decade history. 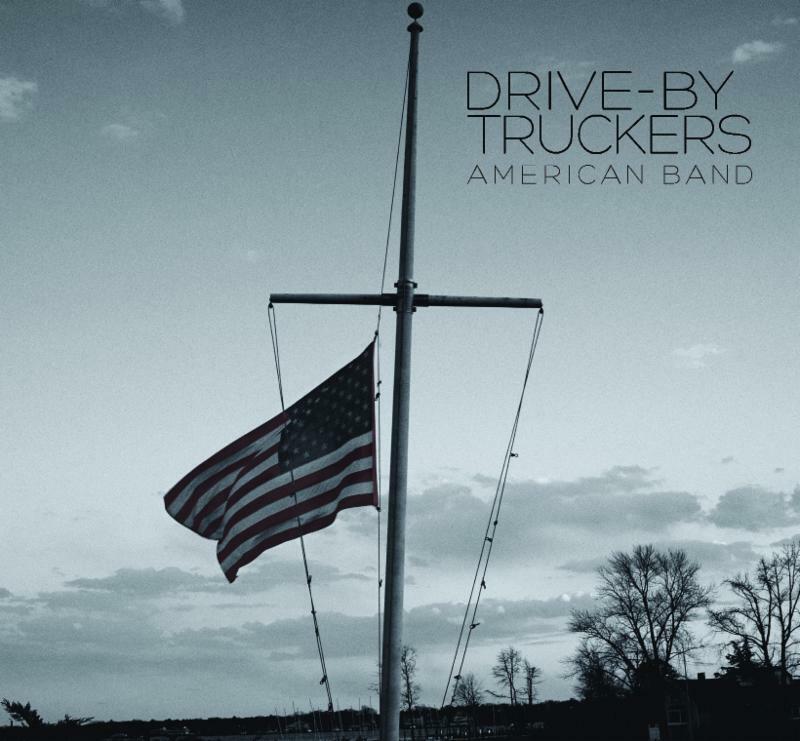 AMERICAN BAND follows ENGLISH OCEANS and 2015's IT'S GREAT TO BE ALIVE!, marking the first time DBT have made three consecutive LPs with the same hard-traveling crew. For more information, please visit drivebytruckers.com, www.facebook.com/drivebytruckers,twitter.com/drivebytruckers (@drivebytruckers), and atorecords.com. MYSTIC, CONN. – American Laundromat Records is proud to announce Say Yes! A Tribute to Elliott Smith will be released worldwide on October 14, 2016. The 15-song tribute will be available on CD, LP, Cassette, and Digitally. With the exception of one track – Juliana Hatfield’s cover of Needle In The Hay that appeared on American Laundromat’s Wes Anderson tribute - all songs are brand new covers exclusive to the tribute. It's been nearly 20-years since Elliott Smith's "Miss Misery" was nominated for Best Original Song at the 1997 Academy Awards on the soundtrack to Good Will Hunting. In July,KEXP premiered Tomo Nakayama's cover of "Miss Misery" on an episode of the "Music That Matters" podcast. "Miss Misery" was the first song I ever heard by Elliott Smith, and I remember watching him perform it solo on Conan O'Brien. I was totally transfixed by the melody and chord progression, and the unexpected turns he took each time on the bridge," recalls Tomo. "I tried to pay him homage on this recording by playing all of the instruments myself, at my friend Cory Gray's studio Old Unconscious in Portland. Also as a nod to Elliott's lo-fi roots, the song was mixed down to cassette four track by Yuuki Matthews (of The Shins, David Bazan)." Additional tracks have been previewed earlier this year including Julien Baker's cover "Ballad of Big Nothing" on Entertainment Weekly and Yuck's "Bled White" cover onConsequence of Sound. American Laundromat is now offering 4 limited-edition pre-order bundles exclusively from their website. Bundles range from $13.00 (CD + Promo Pin + Vinyl Decal) to $50.00 (CD + LP + Cassette + T-Shirt + 3-Pc Button Set + Vinyl Decal + Digital Download Card). Say Yes! 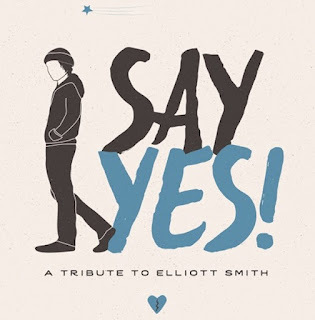 A Tribute to Elliott Smith is available October 14th. 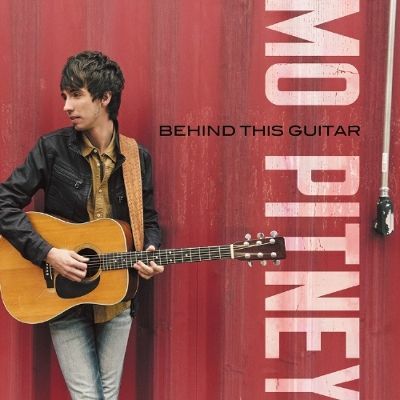 Critically acclaimed country star Mo Pitney has revealed his debut album and track listing to fans. The debut album, Behind This Guitar, is available Friday, October 7 and features 10 of 12 tracks penned by the songsmith himself along with a who's who of top Nashville songwriters.